Since I will have a full FBC review for its publication date here I will summarize quickly the salient points: it is a Maria Snyder first person youngish (but tested through trials etc, so the book is not YA) heroine with special powers narration and while Avry is certainly different than Yelena or Opal, the feel is absolutely the same. The world building is different though and it is quite intriguing - 15 kinds of magic, magical healers/scientists possibly responsible for the devastation that engulfed it, various power brokers with various ambitions and lack of scruples, the mysterious death and peace lilies, etc - and much remains to be explored while the book ends at a good point. 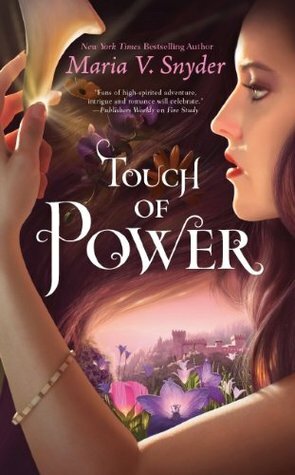 Sign into Goodreads to see if any of your friends have read Touch of Power.